Capturing the timeless spirit of Fellini’s 1960’s Rome, Dolce Italian truly brings ‘la dolce vita’ to life with its effortless charm and approachable sophistication. Dolce sources the finest and freshest local ingredients, reflecting in a seasonally focused menu featuring bold yet authentic flavors. Signature Dolce classics range from handcrafted pastas, to elegant seafood risotto, meatballs over creamy polenta, and a selection of specialty Neapolitan pizzas. The bar showcases an extensive wine list and specialty cocktails such as a barrel-aged Negroni and Aperol Spritz. 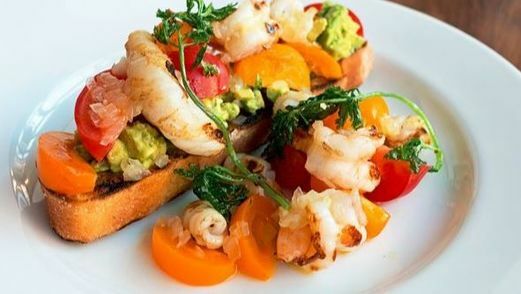 Dolce Italian, winner of Bravo’s latest culinary series Best New Restaurant, is open daily for breakfast, lunch and dinner. 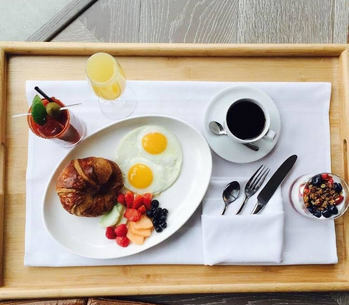 From breakfast as early as you like it to a working lunch to late-night munchies, room service means great food is never more than a phone call away!